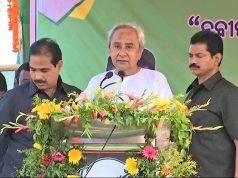 By Avilash Panigrhi , Bhubaneswar: The 21st edition of the Commonwealth Games is set to get underway in Gold Coast, Australia. The event starts off on April 4, while the sporting action begins on April 5. A total of 218 Indian athletes (including 8 para-athletes) will be performing against more than 6,600 athletes and team officials from 71 Commonwealth nations and territories at the sporting extravaganza which concludes on April 15. 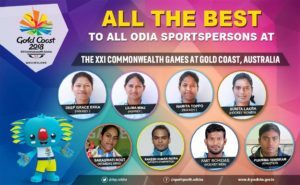 Making Odisha proud, 8 athletes from Odisha are representing their homeland in the Commonwealth Games 2018. The players will showcase their skills in different sports including hockey, gymnastics , weightlifting and track and fields events. 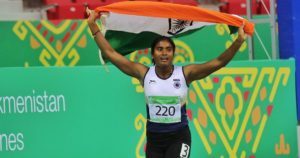 The 24-year-old Mayurbhanj’s Shantal Tribal girl had clinched Bronze in heptathlon event of the 22nd Asian Athletics Championships held in Bhubaneswar. She also bagged Gold medal in Pentathlon event in the Fifth Asian Indoor and Martial Arts game in Turkmenistan. She has been a constant performer at the national level and is also a part of the Indian athletics squad for the upcoming Gold Coast Commonwealth Games. Kendrapada’s ace weightlifter Saraswati Routh has been selected to represent India in 58 kg women’s category in weightlifting. 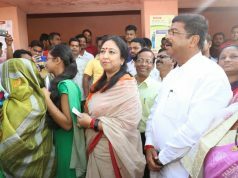 She had started her career as a trainee in Bhubaneswar Sports Hostel. Rigorous practice made her India’s one of the best weightlifter. 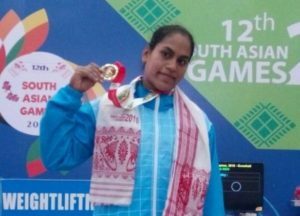 Saraswati came to the lime light when she had won Gold medal in 58 KG women weightlifting event of 12th South Asian Games in 2016 lifting a total of 187 KG. She is one of the favourite weightlifter for a podium finish at the Commonwealth Games. Rakesh Kumar Patra is one of India’s top artistic gymnasts and will be competing at the Commonwealth Games. Hailing from Puri, 26-year-old Patra has represented India in several international competitions. However, his inclusion at the CWG this year was fraught with controversies. 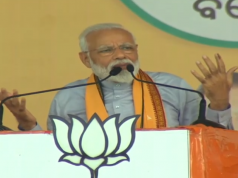 Earlier He was dropped from the gymnastic squad on technical ground. 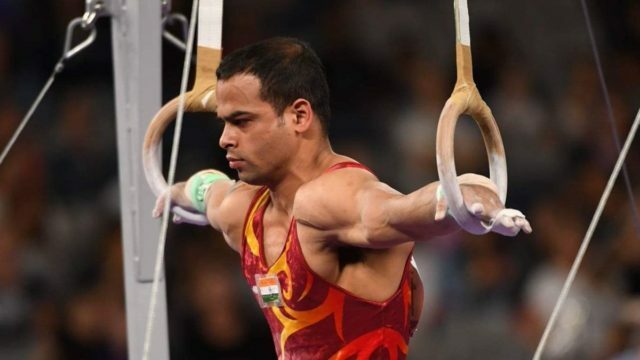 However, with protests by Odisha Gymnastic Association and Patra himself filing a writ petition in the Delhi High Court, Patra was finally selected in the Indian squad basing on his individual performance .With a good performance at the CWG, He will aim to secure his first medal at an international competition and bring glory to the state.. In 2004, Amit joined Panposh Sports Hostel in Rourkela where he transformed from a boy to a hockey player. He joined the junior national team in 2009 and represented India in Junior Asia Cup, Junior World Cup. He made his senior international debut in 2014. He found a place in the senior team and played at the 2014 Hockey Men’s World League Final. But after that for more than three years He was out of the national camp. But never gave up hope. 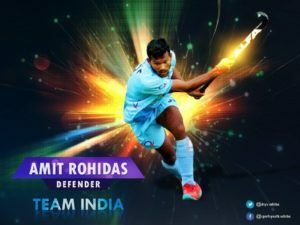 He received a comeback call to Indian side after a formidable performance in 2017 Hockey India League, Where his side Kalinga Lancers became Champion for the first time. Now he has been an integral part of Indian men’s hockey team. He had played a vital role in India’s Gold Medal victory at Asia Cup and Bronze Medal victory in Hockey World League Finals in 2017. Her selection to the Junior National team for World Cup along with 3 other Odia players, Anupa Barla, Lilima Minz & Deep Grace Ekka made Namita to hog the limelight. Until now, she has played 134 International matches for India including some major tournaments like Asian Games, Commonwealth Games and World League, Asia Cup. Moreover she was a part of the Indian team which won bronze medal in 2014 Asian Games and Silver Medal in Commonwealth Games, Gold medal in 2016 Asian Champions Trophy, Gold medal in 2017 Asia Cup. In 2014,. Namita was awarded the upcoming player of the year award (Women-Under 21) by Hockey India for her outstanding performance. She happens to be one of the most promising players that Odisha has ever produced. From taking a control of mid-field to strategising attacks with other forward players, Lilima masters it all. She was even a part of the Indian Women’s Hockey Team that made history by winning the bronze medal for the first time in women’s junior Hockey World Cup in July 2013. So far, Minz has represented India in more than 100 International matches including some major tournaments like Asian Games, Commonwealth Games, World Hockey League and Hawks Bay Cup, Asia Cup, Asian Champions Trophy. Twenty Seven-year-old Sunita Lakra belonging to Rourkela is considered to be the backbone of Indian women’s Hockey team defence and has in her kitty an astounding success of 116 International caps. Some of her big achievements were when she represented India’s at the 2014 Asian Games in Incheon where team India bagged the bronze medal. A year after this, she helped her team in attaining the top position in the women’s Hockey League Round 2. She was also the part of the Indian Womens Hockey Team Which has clichéd Gold Medal in 2016 Asian Champions Trophy and 2017 Asia Cup. However, Sunita’s breakthrough moment was in August 2015 when the Indian women’s hockey squad qualified for Rio Olympics after a hiatus of 36 years. She is a star performer of the Indian women’s hockey team. and has represented the country in 148 International matches. Hailing from Sundergarh district of Odisha, Ekka has played a pivotal role in making her team win silver at the Women’s Asian Champions Trophy, 2013 and bronze at the women’s Hockey Asia Cup in the same year. Infact, she was also a member of the squad for the 17th Asian Games at Incheon where Indian secured the bronze medal by beating Japan. Apart from that She was the member of Indian women’s Hockey Team that lifted Gold in 2016 Asian Champions Trophy and Asia Cup in 2017. He had also represented Indian in 2016 Rio Olympics.